Greg is a Financial Planner affiliated with Retirement Security Centers, where he specializes in meeting the financial planning needs of those approaching or already in retirement. Greg has always had a passion for personal finance and helping those around him navigate their finances, so in 2012 and after 28 years in various technical and leadership positions on the business technology side of the Cable TV industry, Greg made a change that had been many years in the making by changing careers and joining the RSC team. Combing RSC’s unique EASE Planning Process with the use of interactive planning software, Greg has become a power user in the development and delivery of his clients ever changing retirement plans. Through this planning work, his clients are able to explore their full range of options and lifestyle choices prior to and during retirement, while still remaining in full control of the retirement they choose. As a CERTIFIED FINANCIAL PLANNER™ practitioner, Greg delivers an objective, and process based approach that takes into consideration not only a client's finances, but also their values and desires. It is his mission to help clients achieve a crystallized vision of their retirement from a psychological and financial perspective so they can proudly live with a sense of security in those decisions. Greg holds FINRA Series 7 and 66 registrations, and has his State of California Life and Health Insurance license as well. 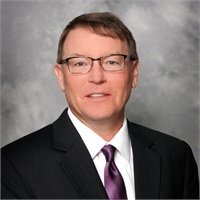 He also holds a certificate in Personal Financial Planning from University of California, Davis and a Bachelor of Science degree in Business Administration from Westfield State University, Westfield Massachusetts. Greg has been a resident of the Elk Grove area for the majority of his life. Since 1998, he and his family have resided in Rancho Murieta, California. He enjoys golf, fishing and travel as well as being actively involved in his community.